Shipping & Returns — . After the receiving of your order, we conduct Quality Control checks and testing in order to ensure the product's quality prior to shipment. The processing time varies depending on the specific product with the average processing time approximately 7 business days; however, it can also be affected by the item's stock status. If your order includes popular items experiencing stock availability issues, the order can take between 5-10 business days to process. EXCLUSIVELY ONLINE ONLY ITEMS: may take 7-14 business days to get to our store. This means we order in your desired items and takes a little longer to ship out. Please keep in mind the shipping time frame with these items when ordering. 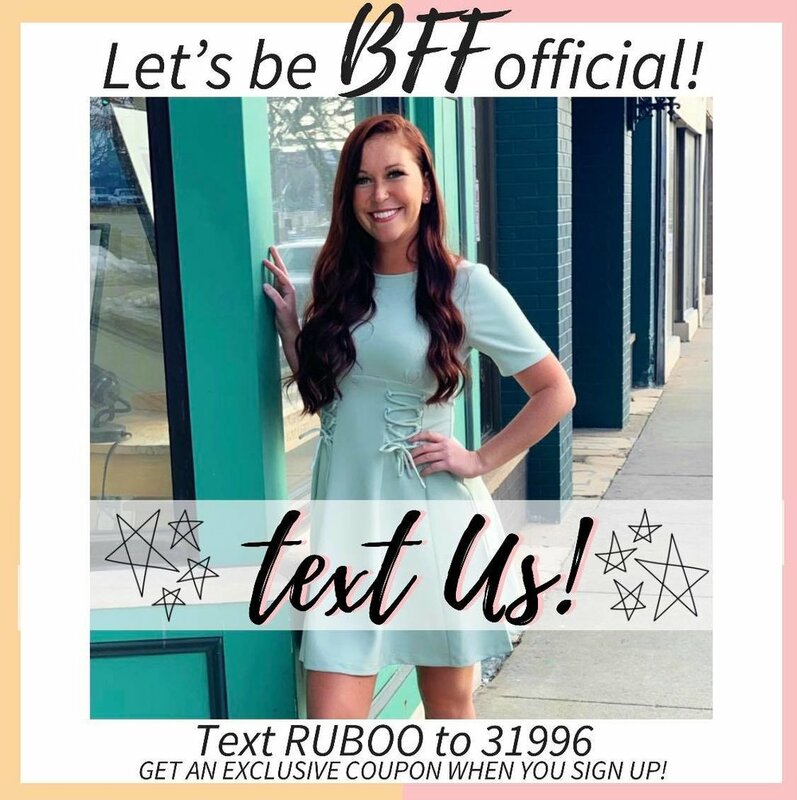 Online purchases made through RUBOOBOUTIQUE.COM and in store are valid for exchange or credit within 14 days from the ship/purchase date. Merchandise returned to the store will be eligible for exchange or store credit towards the next purchase. Items must be returned unwashed, unworn, undamaged and with tags attached. Jewelry (excluding earrings and body piercings) must be in its original packaging. All returned items must be accompanied by the original return form and customs documents (if applicable). GIFT CARDS, E-GIFT CERTIFICATES, COSMETICS, UNDERWEAR, SELECT LINGERIE, SELECT SWIMWEAR, EARRINGS, BODY PIERCINGS, AND ONLINE SALE ITEMS MARKED “FINAL SALE” MAY NOT BE RETURNED OR EXCHANGED. Please contact us at Contact page as soon as possible. We will endeavor to provide the best service possible to resolve any issue. Customers are able to obtain a partial refund in the event of missing items or incorrectly shipped items. A reshipping service will be arranged in either event. A partial refund will be offered in the event of accessories being unavailable for reshipping. Please ensure you open the parcel and verify the contents carefully before signing for the package.